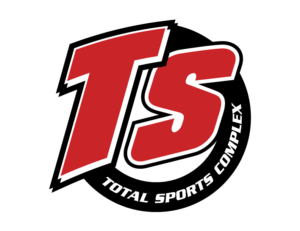 Total Sports Complex – The number one facility for all of your sporting needs. With over 1,000,000 square feet under management and multiple locations across Metro Detroit and northern Ohio, Total Sports Complex offers a wide variety of field sports including soccer, baseball, softball, lacrosse and football. If you’re looking for organized leagues, casual play or a place to host your next party or corporate event — contact Total Sports and speak to one of our event professionals to fulfill all of your needs. Browse the various sports we offer and see if they are available at your location! Great players start with great training. Learn more about our in-house programs. From tournaments to expos, our facilities are perfect for your next event! Get great prices and great deals at our Sports Shop. Try out equipment before you buy it! We are a Demo Bat provider. Find your closest Total Sports facility today! Where was your last birthday party? How about a corporate event or team building event? Our facilities are perfect for hosting. Log in here to view your profile, upcoming schedule or team information — CLICK BELOW. Check out our full selection of sports camps — CLICK BELOW. Worked up an appetite on the field or just looking for a place to relax during breaks in the action?